Interior design is currently focused as much on bathrooms as it is on living rooms. And why not? Your bathroom offers you the rejuvenation and energy you need every day to face the world! A neat and smart bathroom is the ideal spot for washing away all your worries and woes. 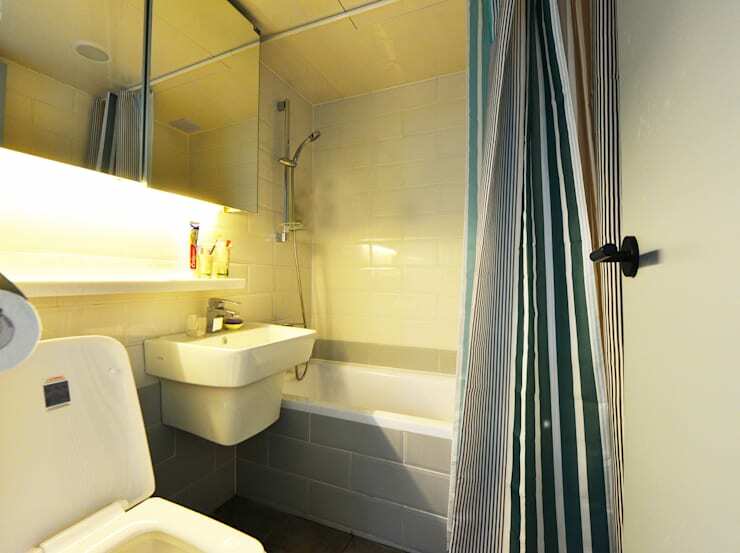 But a drab, old-fashioned and cluttered bathroom can exude negative energy instead, and make you feel worse on bad days. 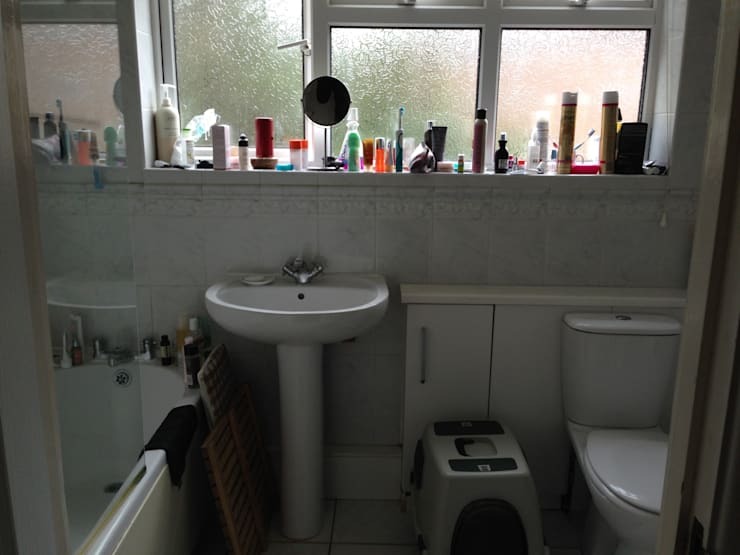 So here we present four bathrooms which were previously dated, messy and uninviting affairs, but have now undergone striking makeovers to become ultramodern and super-functional. Read on to get more inspiration for your own bathroom renovation project, too! With toiletries and towels spilling from countertop, rods and shelves, this bathroom was simply a clutter nightmare. The drab yellow and patterned tiles on the walls and earthy-hued tiles on the floor didn’t complement each other, but added to the shabby look and feel of the space. Elegant grey tiles now offer a smart canvas for fashionable fittings in the revamped bathroom. The sleek ledge and practical shelf are in white too, and cater to easy organisation. With clutter gone, the bathroom now looks extremely appealing with its chic round mirror and trendy fixtures. This old and dingy bathroom was filled with unsightly odds and ends, and the busy floor tiles added to the visually jarring effect. 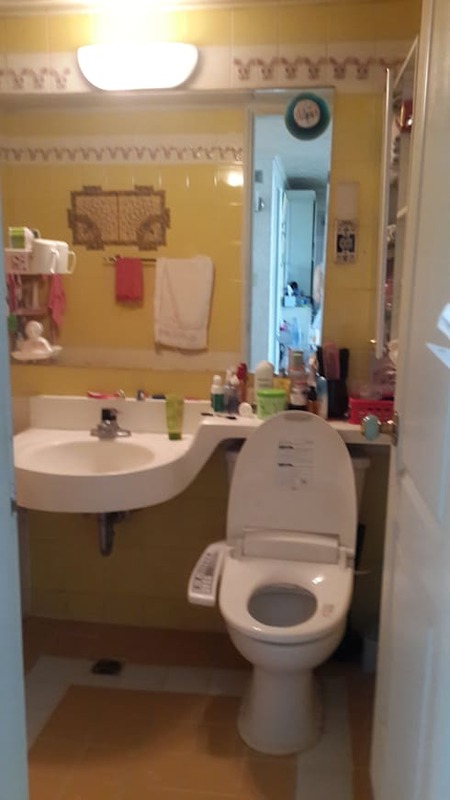 Even the messy top of the WC and edge of the yellowed tub added to the disorder, while dated fixtures and furniture contributed to the unwelcoming scenario. 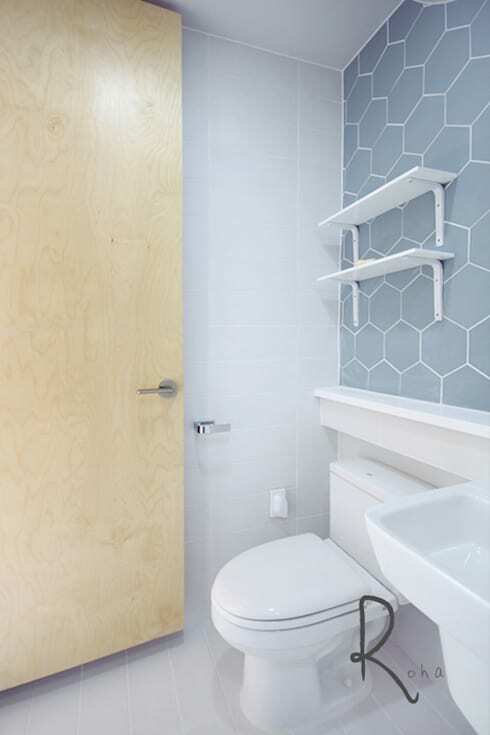 Now, the predominant whiteness of the bathroom makes for a bright and refreshing look, while a wooden door and grey honeycomb-patterned tiles offer stylish contrast. The slim wall-mounted racks and the ledge above the WC make organising toiletries a dream, and hence keep clutter at bay. 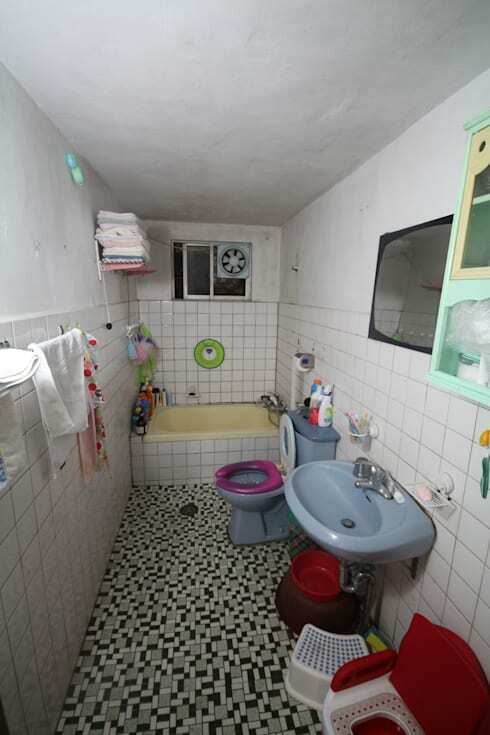 Gloom and shabbiness ruled this dingy bathroom, and were enhanced by the windowsill overflowing with lotions and potions. 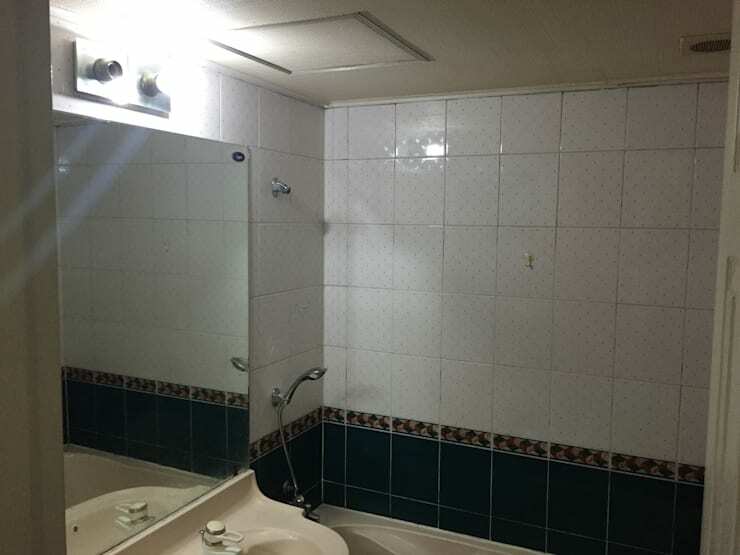 Drab tiles and ancient fixtures hardly improved matters. 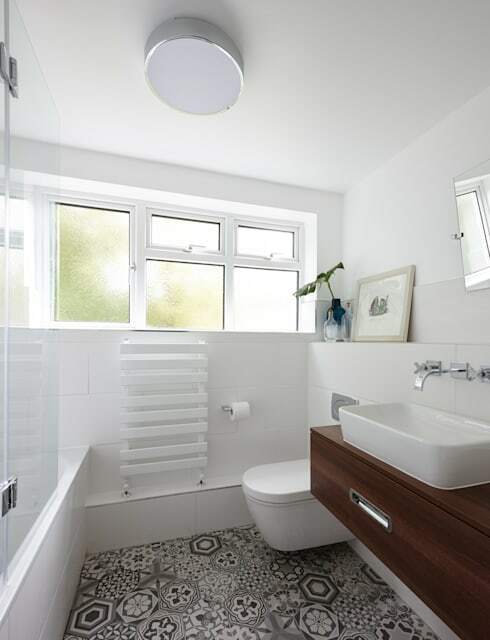 Created by the interior designers and decorators at Bhavin Taylor Design, this bathroom is now a gorgeous and cheery sight with oodles of fresh whiteness. 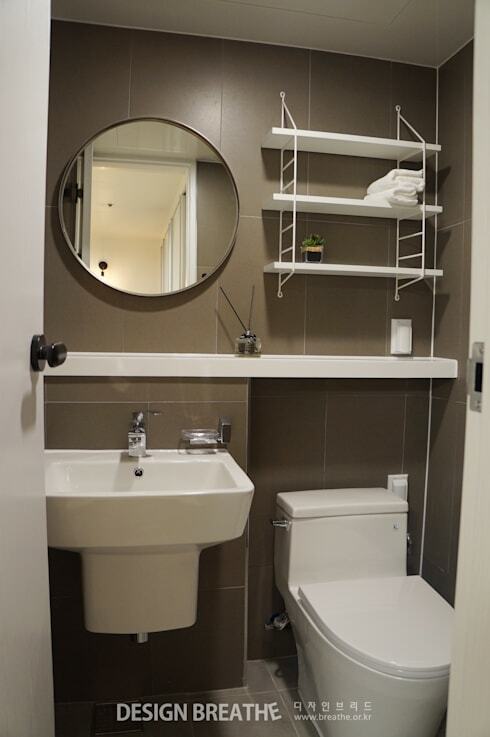 A sleek wooden sink cabinet now holds toiletries efficiently, leaving the ledges uncluttered. Stylish fixtures, a lone artwork and snazzy patterned tiles on the floor cater to the chic factor here. The combination of dark blue and white tiles might have been aesthetically pleasing at some point in time, but they now look jaded and passé. Lighting was insufficient, too, and a more stylish mirror was required to perk things up. Sleek grey and white tiles now make this bathroom a more contemporary space than before. A backlit mirror cabinet has been added for greater functionality, while the striped shower curtain jazzes up the bathroom subtly but surely. Now that you're armed with various ideas to glam up your old bathroom, don’t wait to get started! You can also consult an interior designer or architect for such a project, and benefit from the right guidance. For more inspiration, take a look at this before & after story: A dated apartment's dazzling transformation. Which of these bathroom makeovers is your favourite?